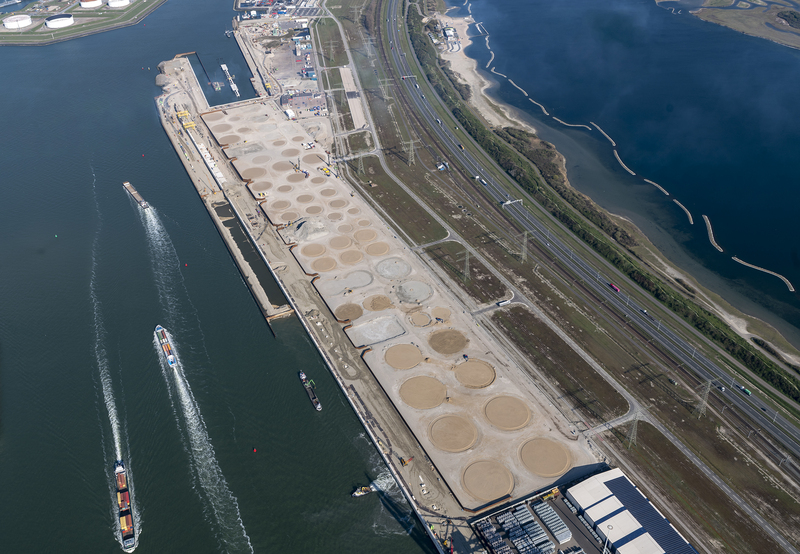 The start of construction work by the Port of Rotterdam Authority represents a major step forwards in the development of the new HES Hartel Tank Terminal. In addition to a 1200 metre long deep-sea quay wall and linking construction between the new quay wall and the existing quay, a 1000 metre-long quay wall will also be built for inland shipping, together with a 350 metre long jetty with 4 berths. At the same time, dredging and earthmoving work will be undertaken, as well as bank and harbour basin protection. Work on these maritime facilities will be completed at the end of 2019, as planned.